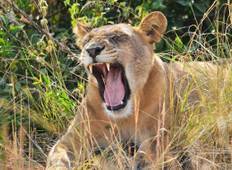 Embark on a Big Five safari in Uganda and take your personal snapshot of a lion in its natural habitat. There are 7 tours to choose from, that range in length from 7 days up to 16 days. The most popular month is August.